Inspired by the real-life murder of a British army soldier by religious fanatics, Guy Gunaratne’s In Our Mad and Furious City is a snapshot of the diverse, frenzied edges of modern-day London. A crackling debut from a vital new voice, it pulses with the frantic energy of the city’s homegrown grime music and is animated by the youthful rage of a dispossessed, overlooked, and often misrepresented generation. While Selvon, Ardan, and Yusuf organize their lives around soccer, girls, and grime, Caroline and Nelson struggle to overcome pasts that haunt them. Each voice is uniquely insightful, impassioned, and unforgettable, and when stitched together, they trace a brutal and vibrant tapestry of today’s London. In a forty-eight-hour surge of extremism and violence, their lives are inexorably drawn together in the lead-up to an explosive, tragic climax. 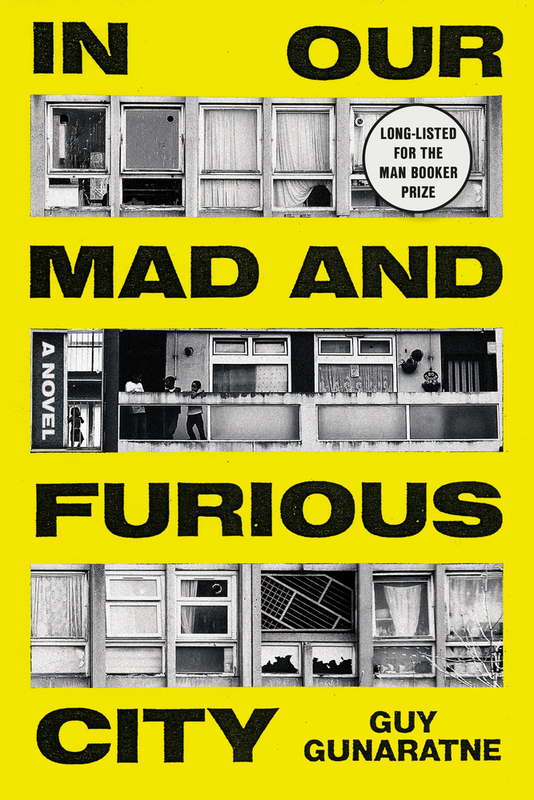 In Our Mad and Furious City documents the stark disparities and bubbling fury coursing beneath the prosperous surface of a city uniquely on the brink. Written in the distinctive vernaculars of contemporary London, the novel challenges the ways in which we coexist now—and, more important, the ways in which we often fail to do so. Guy Gunaratne was born in London in 1984. His debut novel In Our Mad and Furious City was long-listed for the 2018 Man Booker Prize and short-listed for the 2018 Gordon Burn Prize. He previously worked as a journalist and documentary filmmaker covering human rights stories around the world. He divides his time between London, UK and Malmö, Sweden.